When you have reached the end of your options, allow the caller to repeat, but let the caller know that is what is happening. You can give him the choice to repeat (“To repeat these options, press *”), or you can automatically repeat them (stay on the line to hear these options repeat). Sometimes people do need to hear the options again, and simply to send them to an operator won’t serve them or your business the most effectively. No matter what, NEVER simply disconnect the call after the options are played! That is a great way to make sure people never call you back! Another way to manage your caller’s expectations is to let him know at the very beginning, how many options you will give him. That would sound like, “Please select from the following six options.” This information allows callers to know how long they’ll have to listen, and how many choices they need to keep in their heads before they choose a selection. When designing the options for your IVR or Auto-Attendant, make sure they match your customer’s expectations. Presenting a caller with four or five clear, concise options will allow him to navigate through your system quickly, without wasting time waiting to hear options he is not interested in. 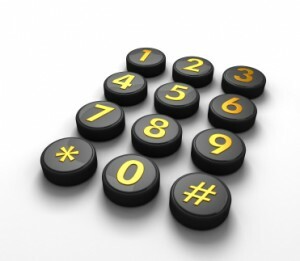 Using only four or five options will likely take some extra thought on your part to make sure you are expressing the options in a way callers will find helpful and convenient. Recently, I had an experience with a system concerning options. I was trying to reach one brand division of a large holding company, for tech support on a tool. I found its number on the Support section of its website, which lists the company’s eight divisions. However, the Auto-Attendant only listed six divisions! (Two of which sounded very similar) And worst of all, the one brand division I wanted wasn’t even listed. Now, what was I to do? I guessed, selected option 1, and got lucky that the company combined its tech support in one place! So, what could the company have done to make its phone options more caller-friendly? If in fact the two support options are combined, it can go ahead and express that in the greeting. Instead of saying “For Victor, press 1,” the company could have easily created “For Victor and Brand X, press 1.” Then I would have known which option to choose. In this case, the company had the choice to include Brand X as a seventh option, to combine it with the first option, or to leave it out all together. Unfortunately, the company chose the last option. With a little more thought, it could have not only kept its options short and concise, but it could have saved me the frustration of having to call back a couple of times to guess the right option! Don’t Play the Radio On-Hold! Have you ever been “invited” to be put On-Hold, and found yourself listening to the static of an unknown radio station? It happened to me recently. I called a prominent, nationwide company‘s local office, and when I was put On-Hold…I heard a radio station that was just slightly off the channel, resulting in a lot of static. 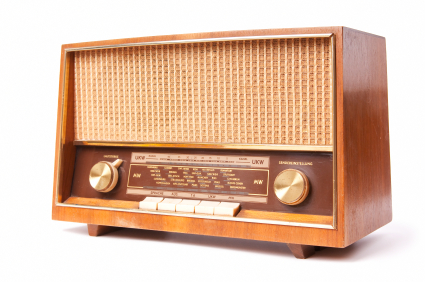 Listening to a static radio station isn’t a great way to give me a good feeling about the company. “Of course,” you say, “in your business, you’re a lot more tuned into thinking about the On-Hold experience.” True. But have you paid attention to what your callers are saying about your On-Hold experience? Want a real-time view of what callers hate (and like!) to hear while they’re On-Hold? Go to http://search.twitter.com, and search for On-Hold. Then call your company. 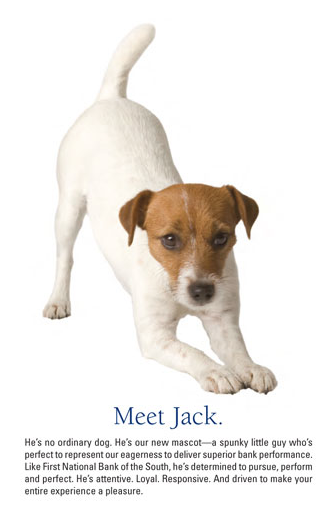 Ask to be put On-Hold, and walk a few minutes in the shoes (or “ears”) of your customer. The experience might change you….If it encourages you to start talking to your caller, in his language, and transforming your caller experience, then great! Anything less, and you’re really just tuning static. You usually won’t get this kind of straightforward feedback from customers. So when customers do take the time to speak up and tell you what you’re doing wrong, it would be best to listen. But it takes really listening, not just to what they are saying, but what they are meaning. If someone is calling your company to see whether his order came in, there is a certain expectation that he will have to wait for you to find out if it has arrived. Yet these same people would say, “I’m spending too much time On-Hold” or “Whatever you do, don’t put me On-Hold.” So in essence, they are expecting to wait, but they are asking you not to make them wait. Hmmmm…. Most people’s experience and expectation with being On-Hold is one of frustration, anxiety, and disgust. They’ve experienced the silence (“Am I still connected?” “Did they hang up on me?”), the radio station (“Exactly the kind of music I don’t listen to.” “Don’t they know this radio station is not tuned in?”), and “Rhapsody in Blue” on repeat. So what could your customers be saying? They may be telling you that the experience of being On-Hold at your business makes them want to hurl their phone through the window (or some other nearby glass object). They may be telling you that the phone is one area of your business that is not drawing them in to do more business with you. Have someone unrelated to your company call into your business and get put On-Hold. Have him evaluate the experience. Is it silence? Do you have a message playing but the volume is so loud that you can’t understand what’s being said? Is it so soft that the sound is dropping out? (Hint: the volume of your On-Hold message should be the same level as your receptionist answering the phone). 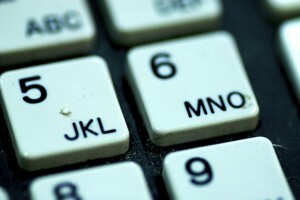 So what kind of experience are you providing for your callers? Is it an environment that is pleasing to your callers? 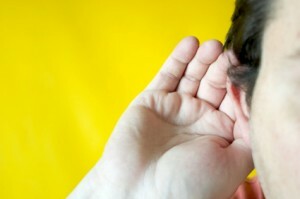 And if your customers are talking to you about it, are you listening to what they are telling you? And here’s an interesting anonymous tool for reporting bad (and good) On-Hold experiences: www.onholdhell.com. Next time you’re On-Hold and hating it, check it out. So what are your callers listening to…and what if you delighted your callers? As a business, what can you do about this situation? There’s always the first thing that comes to mind…Hire more people! That’s what most people suggest. And mostly that suggestion probably comes from someone who has never owned his own business. There can never be a 1-1 ratio of employees to customers. It simply is not feasible. But most helpful folk don’t stop to consider that. They just want you to handle their issue right now. Take your On-Hold time seriously. As seriously as a customer walking in your front door. What are the things you do to make your customer’s first impression a great one? Do you hire an interior decorator? Do you keep the customer-visible areas neat and clean? Do you have information for customers to take with them when they walk out the door? You can do the same thing for customers who call your business. Make a great first impression by having more than silence On-Hold. An On-Hold message will grab your caller’s ear when he first hears it. You’ve got my ear…now what? Now you’ve got a few short seconds to convince the caller to keep listening. Is it going to be interesting? Or is it going to be about how long you’ve been in business? If you want an On-Hold message that will turn angry customers into laughing ones, tell callers about products or services they didn’t know you offered, or flat-out sell more products, you better be paying attention to the phone. After you resolve that situation, then let’s work on a solution for tailgaters…that’s the next most annoying thing on Consumer Report’s list! Don’t Remind Them They Are On-Hold! Adam Alter has written an interesting article about the quirks in time perception that we all share. Why does the first hour of a long flight seem sooo long, while the last several hours all cram together in your mind? I’ll bet you’ve had a similar experience in micro…the last time you called a company and were put On-Hold. With so many things that need to be done in our busy lives, no one wants to wait, and who can blame us? Have you been in Best Buy and had to wait in line to check out? What do you do while you wait? You probably skim the end caps, but I’ll bet you spend most of the wait watching the Best Buy TV program on one of the many screens the store has positioned in site. Why do they put those there? Because when your mind is engaged, it doesn’t think about the amount of time you’ve been waiting. It feels like only a few seconds, when really the store has been able to play four one-minute promos for you! Now back to the On-Hold. If your business is putting people On-Hold and just having them listen to silence, you’re actually extending the perceived wait time. How would you like it if Best Buy required you to put on a blindfold while you stood in line? Every second would feel like an hour until you could take that blindfold off! But if you choose to engage your callers during those inevitable times they have to wait On-Hold, then the amount of time they perceive they are waiting will be quite a bit less. Custom On-Hold messaging that is engaging and relevant is just like hanging those screens near the checkout line of Best Buy. There’s still plenty we don’t understand about how humans perceive time, but one fact is clear: we don’t perceive time the way clocks portray time, one second at a time, with each second passing just as quickly as its earlier and later counterparts. Sure, nobody likes to wait, but what kind of experience is your company providing for those customers who call in? 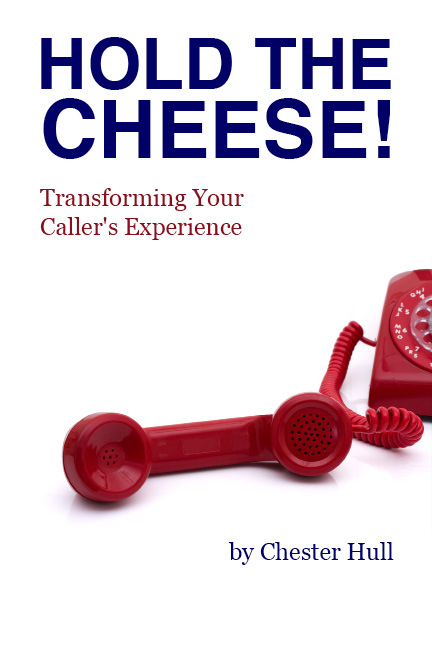 Is your Caller Experience a good one? Are you speeding up your customer’s clock, or slowing it down? Now you’re interested in more than just a roll-top desk! And why is that? Because a compelling, relevant On-Hold message moves the “Who Cares” meter! I’m sure you’ve heard or seen the opposite in an ad…maybe even today. “We’ve been in business since….” Really? Now you’re probably saying, “But Chester, I don’t want to do business with a fresh, young, inexperienced company!” Really? Like Google? Facebook? Twitter? These are all companies that developed huge (did I say huge?) customer bases, and they weren’t built around how long they had been in business. Let’s break this point down a little more. When a company leads with how long it has been in business, what is it really trying to say? Its experience makes it the expert. You will be able to count on warranty support. You won’t be left “holding the bag” if something goes wrong. I’m sure we could come up with a lot more things here. Why is that? It’s because of the difference between facts and emotion. Facts say you’ve been in business for fifty years. Emotions tell me that I want to buy from someone who is an expert. about your business that is going to get your visitors salivating for what you have to offer. Draw me into the world of emotions, and I am more likely to find interest in your product or service. And the best way to engage the emotional side of the brain is to tell a story. Tell me a story…make me a star. But emotional ads are about what the customer already knows or feels. They connect with what we already believe to be real, while adding a new perspective. We do what feels right; then we use our intellectual logic to justify our emotional decision. So the next time you’re thinking about what callers hear while On-Hold, take out the intellect, and put in the emotion. It will make a powerful difference! For the 2011 Super Bowl, Old Spice started a series of fantastic ads that got a lot of media attention. You have no idea what Isaiah Mustafa smells like in that commercial! I was kind of surprised that this didn’t jump out at me sooner. Old Spice did an excellent job of triggering one sense (your sense of smell)…without even using scent! It only used visual and aural senses to sell a smell. Watch the video if you want; I’ll wait. Now, what’s the point, and why would I want to make it here? The point is that you don’t have to use all five senses to engage fully your prospect’s five senses. Did you know the body needs “just” 100 million sensory receptors to experience the physical universe around you? We are much more prepared to experience the world of imagination and dream than we are the physical world. Words, sounds, images, and more are what transport us into those worlds. And you can use that same transport to take your customer there. The Caller Experience a customer has when phoning your business sets that caller up for how he or she is going to experience your product or service. Are you providing a great experience? How your phone is answered gives people a glimpse inside your company. And just like Isaiah and Old Spice, they don’t have to see with their physical eyes to imagine with their mind’s eye! Thinking about the possibilities? Think about this. What does it sound like when you push that little red “Hold” button on your phone? Do your callers get dumped into a black cavern of silence, wandering around looking for daylight, sometimes for long periods of time? Do they hear the same generic music your competitors have, with constant reminders to “Please stay on the line….please! We’re begging you!”? Or do you transport them to a magical place, where you engage their senses in a way that is interesting, fun, and still relevant to your business? You can engage your customers’ minds and draw them into your business, or you can leave them in silence to contemplate the myriad other thoughts they’re faced with each day. Your choice…what does your phone sound like? It connects deeply with listeners because it’s a continuation of the branding that this bank is doing on its website. And it’s relevant to the caller because it invites him or her into the story. I was struck by a couple of things, and since Prosound did not produce this On-Hold message, I’m going to break it down for you here. First of all, it’s not just a “thank you for holding” message. There’s more information in there to let me know I’ve called a financial institution. There are tips for online shopping security, as well as shopping in the “real” world. And there’s even a reminder to change your clock back to Standard Time on Sunday, November 7th. Nowhere…not once…ever…is the name of the financial institution listed. Go back and listen again, if you didn’t catch it. It’s all right; I’ll wait. “So what’s the big deal?” you might ask. This strategy is quite brilliant actually—but only for the On-Hold message production company. It has created a set of messages that is recorded once, and sold over and over again to financial institutions nationwide. It doesn’t reinforce the name of the bank to each and every customer. It doesn’t help strengthen the bank’s other marketing and branding efforts outside the bank, like it could if it were part of those efforts. It lacks a distinct relevance that only a unique On-Hold message can provide. Relevance is created by connecting with the perspective of the listener. The more specific you can be in your messaging, the more believable your message will be. Every business has a story to tell. Telling the story that is uniquely yours will create stronger relationships with your clients and prospects, making it a much harder choice for them to leave you, or to choose your competition. I admit that finding your unique story is more difficult than simply selecting a few pseudo-customized-for-your-industry messages. But your customers and callers will thank you. Ads that fail in one medium will usually fail in others. The medium is not the message; the message is the message. And the message is what matters most!